THE SIKH NUGGET: Banda Bahadur battleground to be turned into a golf course. Banda Bahadur battleground to be turned into a golf course. Three hundred years after Baba Banda Singh Bahadar shook the foundations of the 1000-year-old Mughal empire in India by defeating and killing Wazir Khan (Faujdar of Sirhind) in the Battle of Sirhind that established Sikh raj in Punjab, the Punjab Government has yet to do anything substantial to preserve history for posterity. On the contrary, the Greater Mohali Area Development Authority (GMADA) has planned to turn the site — where the battle took place in 1710 — into a golf course and a lake. The government has even failed to declare Chaparh Jhiri, either a historic or a heritage village. Some nearby villages with no significance have been conferred with this distinction of being labelled as historic or heritage villages. Interestingly, this area of Chaparh Jhiri (Sirhind) — in which the first known open confrontation between the Sikhs and the Mughals took place — also known as the mother of all battles — is located on the outskirts of Chandigarh, barely 10 km from the seat of the current government on the Kharar-Banur road. Yet, despite promises, successive governments have failed to set up any memorial. After this battle, Banda Bahadar also established the principle of ownership of land to the tiller. The historic and strategic mounds from where Banda Bahadar directed and fought the battle have already been levelled by builders and colonisers. Somehow, about 150-odd acres of battlefield remains uncultivated to date. This is not only due to poor soil quality, but also because local people believe that this is sacred land where over 5,000 Sikhs lost their lives for their faith. According to historians, while the great martyr cremated his soldiers, he hung Wazir Khan’s body for two days from a tree. The tree still exists and is located in a school compound. With colonisers and developers fast overtaking the area, historic sites are being lost. The Punjab Government has no plans to preserve this historical site, or to build a memorial. At least, the GMADA plan released by the government has no such indication. Even today when people dig the land for some activity, they come across turban rings and other weapons of the soldiers that fought along with Banda Bahadar, the Panj Piaras sent by Guru Gobind Singh and thousands of the Guru’s untrained followers who joined the fight. Many of these are now kept in a local gurdwara. Chaparh Jhiri’s ex-sarpanch Jora Singh Bhullar says: "The historical and religious significance of the area has been passed on by word of mouth for generations in this area`85 that was once inhabited mainly by Muslims. We are not against the GMADA making a golf course or a lake. They should do it by all means as it would bring development to the area. But the government should build a battle memorial — a minar-e-fateh — and a museum showing a light and sound programme for the benefit of future generations." 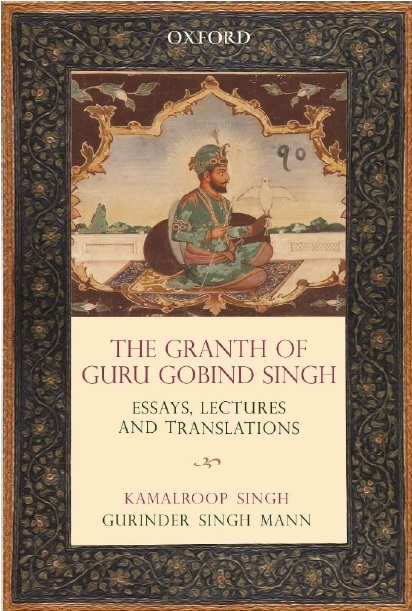 Explaining the relevance of the battle, Baljit Kaur Gill, a Sikh intellectual, says: "After capturing Sonepat, Samana, Shahbad, Mustafabad, Kapuri and Banur, Banda Bahadar wanted to avenge the killing of Guru Gobind Singh’s two sons — Fateh Singh and Zorawar Singh — and the atrocities perpetuated on Sikhs by Wazir Khan. The Mughal army had cannons and cavalry. The Sikhs only had swords, spears and small arms. The two armies clashed at Chaparh Jhiri on May 12, 1710, and the Sikh army won, turning a new chapter in Sikh history. Banda Bahadar then established Sikh raj with headqurters at Lohgarh." Interestingly, Chief Minister Parkash Singh Badal sanctioned a pitance of Rs 5,000 for Chaparh Jhiri village in 1978. At a recent function at Anandpur Sahib, he announced two memorials for the Sikh warrior — one at Chaparh Jhiri and the other at Gurdas Nangal (in Gurdaspur, from where he was captured and taken to Delhi) — to mark his first and last battles against the Mughals. "But the GMADA does not subscribe to the chief minister’s views, and has kept no such provision in its developmental plan", says Chaparh Jhiri nambardar Baljit Singh.